College essay format example is a classic form of the written assignment for the students of the higher education institutions. It should consist of the introduction with a clear thesis statement, three body paragraphs, and a conclusion. It is necessary to choose the core idea of the essay and write a complete thesis statement based on that. Every presented idea should be obligatory supported with strong evidence. A thesis statement should always have a narrow focus as college essay implies a thorough research on the topic. 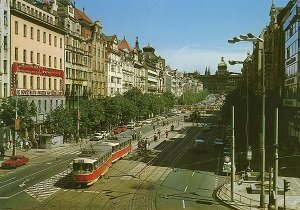 For almost eight months in 1968, the Czechoslovak Socialist Republic experienced a period of a profound revolt. That was an unprecedented event in the history of the communist movement. The unpreventable changes became an obvious result of the growing crisis in the relatively prosperous and developed country. The Prague Spring was caused by the fact that a decisive politician Alexander Dubcek became the first secretary of the Presidium of the Central Committee of the Communist Party of Czechoslovakia. Since the first days of work, he introduced a lot of fundamental reforms that troubled the communists in Moscow. The main reasons of the Prague Spring were the disability of the Stalinist model of socialism, further superficial de-Stalinization, and the slow rehabilitation of victims of political repressions in the country. After Alexander Dubcek was elected to the post of the first secretary, the new program of action was proclaimed which consisted of the abolition of the Communist Party’s monopolistic power, the formation of a multi-party system, democratic rights and freedoms, privatization, market reforms, and cooperation with all countries of the world. The climax of the Prague Spring came on August 20, 1968 when an armed intervention made by the countries of the Warsaw Pact (the Soviet Union, Bulgaria, East Germany, Hungary, and Poland) took place. Despite the fact that the Soviet Union had a negative attitude to the Czechoslovak reformist movements, for a long time USSR did not resort to military invasion. Some members of the Soviet leadership took up an intensive search for a peaceful solution. After March 1968, the Soviet government began to use a number of tools for political and psychological pressure to convince Dubcek and his colleagues to slow down the ripening change. The Soviet authorities exerted political pressure on Dubcek’s leadership during the various meetings and negotiations: March multilateral political meeting in Dresden, a bilateral meeting in Moscow in May, the unprecedented summit talks in Cierna-nad-Tisou in July, and in Bratislava in August 1968. Dubcek was confident in his decisions, so there happened an escalation of the conflict. As the result, seventy-two Czechoslovak citizens were killed, the leaders of the Prague spring were arrested and taken to Moscow, where they were forced to abandon the reform of the Communist Party of Czechoslovakia. In April 1969, Alexander Dubcek was removed from his office and Gustav Husak became the first secretary of the Communist Party of Czechoslovakia. The reasons for the Prague Spring defeat were the armed intervention of the countries of the Warsaw Pact, and the refusal of Western countries to go for an open conflict with the USSR. To sum up, the consequences of the Prague Spring include the fall of the Soviet authority on the world political arena. Also, there occurred a number of protests in the socialist countries – Albania, Yugoslavia, Romania, and China. Subsequently, the UN Security Council requested to withdraw foreign troops from Czechoslovakia and country returned to the Soviet methods of government. Bischof, G., Karner, S., & Ruggenthaler, P. (2010). The Prague Spring and the Warsaw Pact invasion of Czechoslovakia in 1968. Lanham, Md. : Lexington Books. Del Bourgo, D. (2009). Prague spring. [United States]: Mystère Press. Gilbert, M. (2014). Cold War Europe: The Politics of a Contested Continent. Lanham: Rowman & Littlefield. Panek, J. & Tuma, O. (2009). A history of the Czech lands. Prague: Charles University.